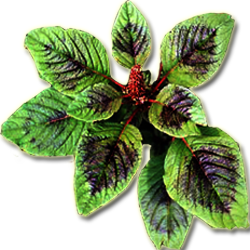 Amaranth is one among the commercially important leafy vegetables grown in Kerala. It is a rich source of calcium, iron, and vitamins A and C. It is an annual, fast growing plant, and is easily cultivated in gardens and fields. It can be grown throughout the year. Amaranth has its origin in India, Central and South America, and South East Asia. Approximately 50-60 species of Amaranthus are found in India alone. A. tricolor is commonly grown in South and Southeast Asia, A. cruentus in Africa, and A. dubius in the Caribbean area. Other common spe­cies are A. viridis, A. hypochondriacus, and A. gangeticus.